School re-opens on Monday 31st August. We hope everyone is enjoying the holidays and look forward to welcoming pupils new and old in a few weeks! We had a special visitor to our school on October 16th. Cllr. Jim Finucane, Mayor of Tralee Municipal District of Kerry County Council attended the count for our Student Council elections. Comhghairdeas! to the new council members pictured with Cllr. Finucane after their election. Below members of the former Student Council with fellow pupils and the Connect 4 game they fundraised for and organised for the playground. APRIL 11th is the last day of term! There will be Easter egg hunts in the garden and the woods. Raffle to win a Giant Easter Egg. Chocolate Cake Sale in Catherine’s room from 10.30am.Proceeds to fund Multi faith and Cultural Day. So, make your favourite chocolate confection and bring it into school on the morning of the 11th. A prize for the best cake! Included in photo: Charlize, Donnacha, Maia, Barry, Saorlaith, Ruairi, K.C, Jagoda, Daire, Wiktor, Wendy, Ethan, Basit with Denis Reidy, Principal, Cllr Pat Hussey Mayor of Tralee and Cllr Mairead Fernane, Deputy Mayor of Tralee and Maryanne Keane, BOM. 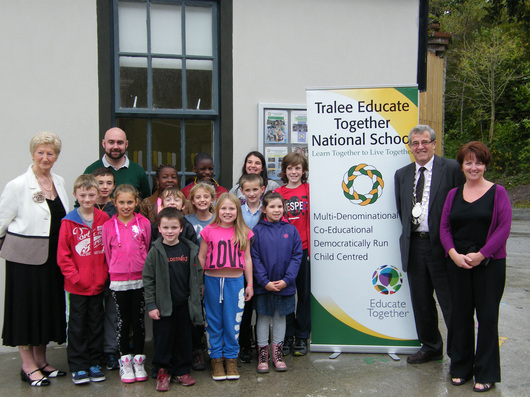 An historic day took place at Tralee Educate Together NS on Friday 18th October 2013, when TWO Mayors of Tralee Town Council attended the counting of votes for the annual Student Council election. This will be the last time that a Mayor of Tralee Town Council will attend such an event – due to the abolition of Town Councils planned for next year. The pupils had a busy week doing posters and making speeches, AND making promises to their classmates – such as holding a pet day, game day, having more time to work in the school garden, and of course, no homework! The Mayor, Cllr Pat Hussey and Deputy Mayor, Cllr. Mairead Fernane shared some of their election experiences with the pupils, counted the votes and announced the winners to the delight of the school community. We hope that election promises made will be upheld by the new Student Council members! We have come to the end of another school year. Once again I am left wondering where the last ten months has gone to. I would like to take this chance to thank everyone for their hard work during the year. Thanks to the children for being so good, to the parents and all the volunteers for their help, to the Board of Management for all the hard work that goes into running a school. A special thank you goes to all the teachers and staff for all the hard work during the year. Each member of staff regularly goes way beyond the call of duty to make sure the school has everything it needs. Below is some important information for the last two days and for the coming year. All report cards have now gone home. If you have not received your child’s report, check the school bag. Booklists will go home tomorrow. The 6th class list went home today with report cards. When purchasing books, shop around and check for deals with online book sellers for the best prices. Due to delays by the DES and NCSE we are still not 100% certain of who will teach Infants and Resource. We are now 99.99% that all classes will be as follows. All classes and teachers are looking forward to putting on their shows for you tomorrow. The show starts at 11 and should take 50 minutes to 1 hour. We will start with Infants and move up to finish with 5th and 6th. 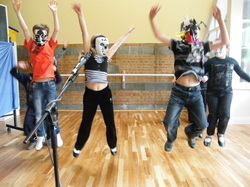 The children performed for each other today. You are in for a big treat tomorrow. The school will reopen for the new school year on Monday 2nd September. The school calendar is on the school website. We are celebrating our Multi Faith & Culture Day 2013 in the Sunroom of Collis Sandes House, this Thursday 27th of June, at 11am. Please come and join us, the children have been working very hard to perform in front of their families! Like every year, the Parents Association will be receiving donations of food in the school that morning and it will be ready for tasting after the concert. Welcome to the third edition of the Student Council Newsletter. We invited members to write an article for the newsletter. They did a great job! We hope you enjoy reading it. Please click on the picture above and it will open the newsletter in a new tab as a PDF file. 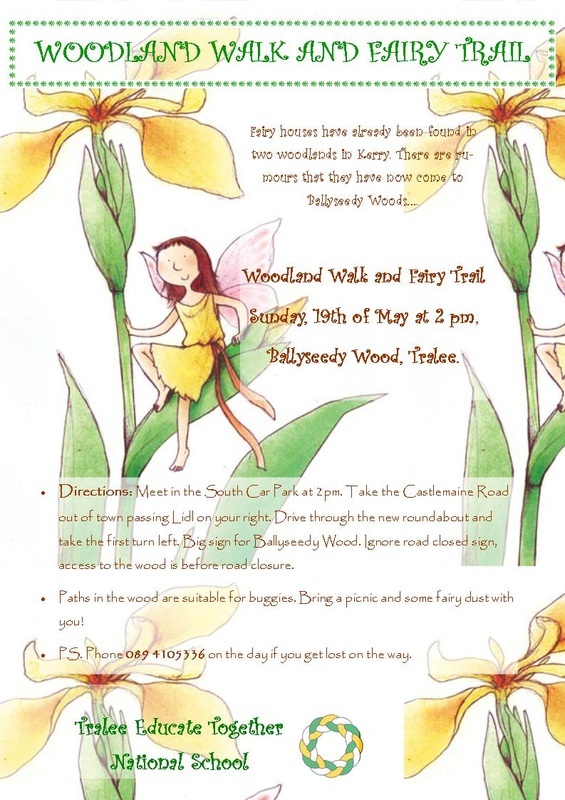 Just click on the photo to the left to see more pictures of the Woodland Walk & Fairy Trail in Ballyseedy Wood. Many thanks to the Parents Association for organising it, to everyone who took part and to Barry for sharing the lovely pictures he took! Transition Year students from Mercy Mounthawk Secondary School Tralee chose our school to put in practice an Eco-UNESCO Environmental Award project called “Creepy Crawley Hotel”, an Insect Hotel, which has qualified for the final round of the competition. 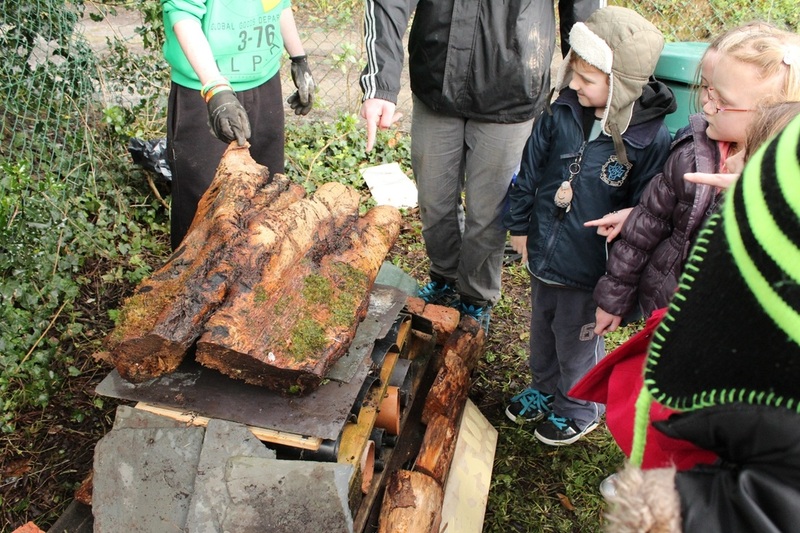 Lucas Cronin, Marcus O’Brian and Mark O’Connor, the Transition Year students involved in the project, came to the idea of an Insect Hotel by noticing that some people had been dumping rubbish in Nun’s Wood in Killeen. They decided to clear some of this rubbish and recycle it locally by constructing an Insect Hotel in the School Garden of Tralee Educate Together National School. 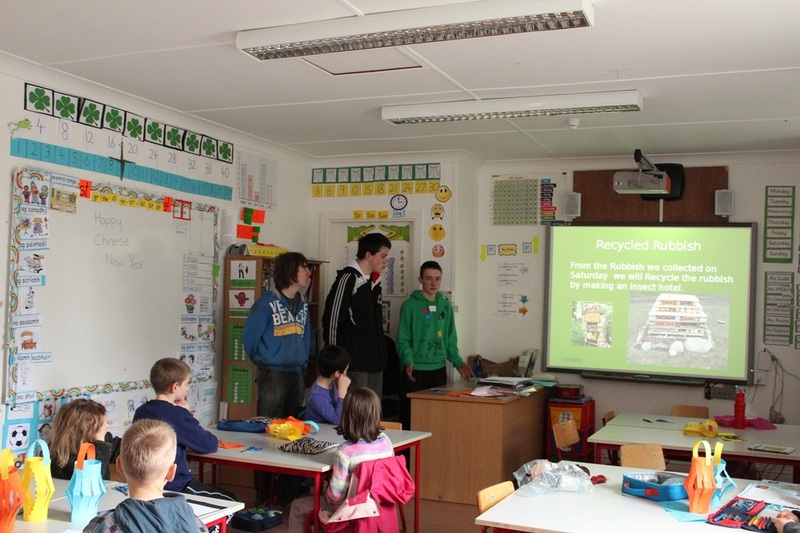 The Transition Year students spent a day teaching the younger students about Eco-UNESCO, recycling, the environment and bio-diversity using a Power-Point Presentation. Lucas, Marcus and Mark worked with small groups of our school pupils in constructing the Insect Hotel using the recycled rubbish and natural materials they had collected from the woods. Insect Hotels are specifically designed to allow the insects to hibernate and nest - notable examples include ladybirds and butterflies. Insect hotels are also popular amongst gardeners and fruit and vegetable growers in order to encourage insect pollination. While the project was facilitated by the Transition Year students in Mounthawk, our school display - which is now in the hall near the office - was used in the Munster round of the Eco-Den competition and our school display will also be making its way to the Mansion House in Dublin. The main focus of the 3,000 word essay that was used for the competition was about the project being facilitated in Tralee Educate Together National School. So our kids and school are very much a part of this competition and it is also very strongly linked with the Environmental strand of our Ethical Education Curriculum. Down below you can find a link to the voting page of the Eco-Unesco page - just scroll down after clicking the link to find more info on the Creepy Crawlee Hotel. 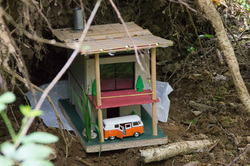 Many thanks and congratulations to Lucas, Marcus and Mark for this fantastic opportunity for our school to get involved in their Creepy Crawlee Hotel project and for their great achievement of qualifying to the final round of the Eco-UNESCO Youth Environmental Awards Showcase Ceremony, which will take place in the Mansion House, Dublin on 22nd May 2013. 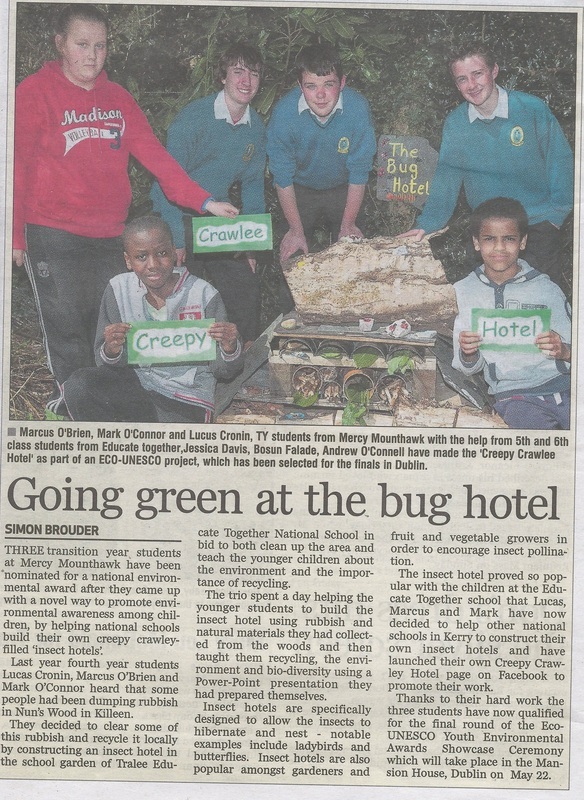 The Kerryman newspaper published an article about the Creepy Crawlee Hotel on Wednesday 24th of April, page 4 of Tralee edition. Our sincere appreciation to the following Businesses and members of the School Community who supported our quiz on Friday night, April 19th. OPEN DAY 2013, WEDNESDAY MARCH 20th, ALL WELCOME! We are getting ready for our Open Day 2013. 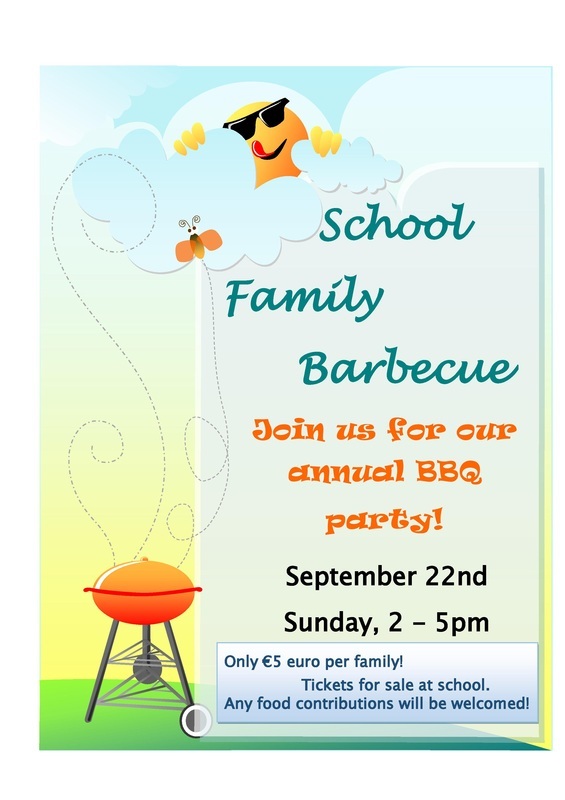 The event is for all new families with children starting Junior Infants in Tralee Educate Together NS. The new parents and children will have an opportunity to visit the school facilities and meeting the staff, pupils and other parents. 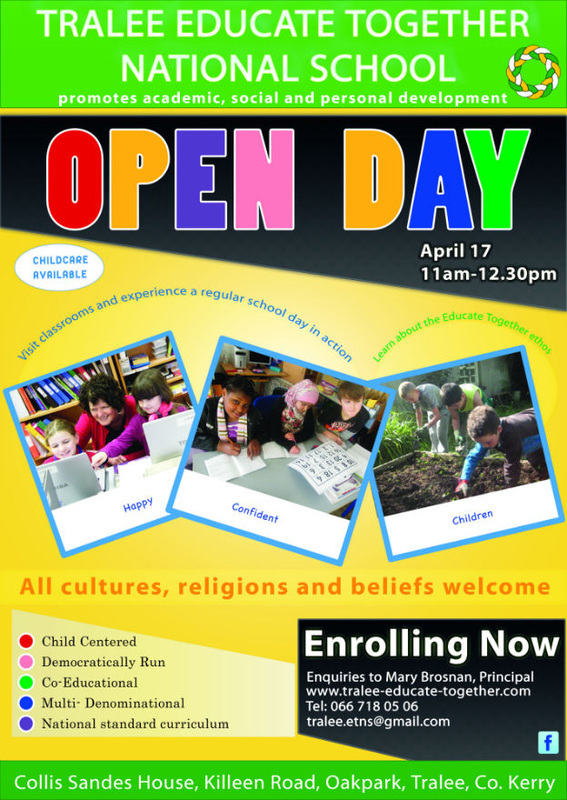 The Open Day will run from 10 AM to 12 PM, on Wednesday 20th of March. There will be refreshments served on the day. Included in the photograph: Front Row L-R: Mike Scannell (Town Clerk), Kyle, Sherraya, Cllr Johnnie Wall (Mayor), Cllr Mairead Fernane, Bríd and Caoimhe Back Row L-R: Nikolas, Francisse Walshe (Chairperson BOM), Nicolas, Denis Reidy (Principal), Basit, Jack, Rory, Jessica, Wendy, Maryanne Keane (BOM), and Siobhan. The Student Council of Tralee Educate National School were awarded a warm welcome in the Council Chambers of the Town Hall on Friday 1st of February by Cllr Johnnie Wall, Mayor of Tralee, Michael Scannell, Town Clerk and Cllr Mairead Fernane. They were accompanied by Denis Reidy, Principal , and Board of Management members Francisse Walshe, Chairperson, and Maryanne Keane. Each year, the newly elected Student Council visit the Town Hall to see where important decisions about the Town are made and to learn about the Council and the role of Councillors. The Members gave a speech about their own election experiences, and work they have done for the school. They also came prepared with tough questions for the Mayor - such as why do you want to be Mayor, what exactly is your job, how many hours do you work, what is the worst and best thing about being Mayor, and did you always want to be a Mayor. The Mayor shared with them some of his duties - including what an honour it is to represent the town of Tralee. Best of all, the Mayor declared no homework for them on Monday night! The new school newsletter is ready to download. I covers activities during the First Term of the current school year and the 10th anniversary celebrations. Please click on the picture to the left to download (PDF) or go to our Newsletter section, where you can also find our previous newsletters. 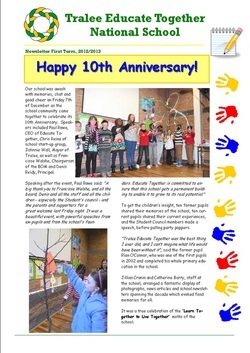 December 2012 Happy 10th Anniversary Tralee Educate Together! Our school was awash with memories, chat and good cheer on Friday 7th of December as the school community came together to celebrate its 10th Anniversary. Speakers included Paul Rowe, CEO of Educate Together, Chris Reina of school start-up group, Johnnie Wall, Mayor of Tralee, as well as Francisse Walshe, Chairperson of the BOM and Denis Reidy, Principal. Speaking after the event, Paul Rowe said: "A big thank you to Francisse Walshe, and all the board, Denis and all the staff and all the children - especially the Student's council - and the parents and supporters for a great welcome last Friday night. It was a beautiful event, with powerful speeches from ex-pupils and from the school's founders. Educate Together is committed to ensure that this school gets a permanent building to enable it to grow to its real potential." To get the children’s insight, ten former pupils shared their memories of the school, ten current pupils shared their current experiences, and the Student Council members made a speech, before pulling party poppers. “Tralee Educate Together was the best thing I ever did, and I can’t imagine what life would have been without it”, said the former pupil Rían O’Connor, who was one of the first pupils in 2002 and completed his whole primary education in the school. Jillian Cronin and Catherine Barry, staff at the school, arranged a fantastic display of photographs, news articles and school newsletters spanning the decade which evoked fond memories for all. It was a true celebration of the “Learn Together to Live Together” motto of the school. And here we are again, almost ready for another summer holiday, saying good bye to 6th Class, rehearsing for Multi Faith & Culture Day and maybe thinking of all what we learned this school year. During the last term so much happened in our school. 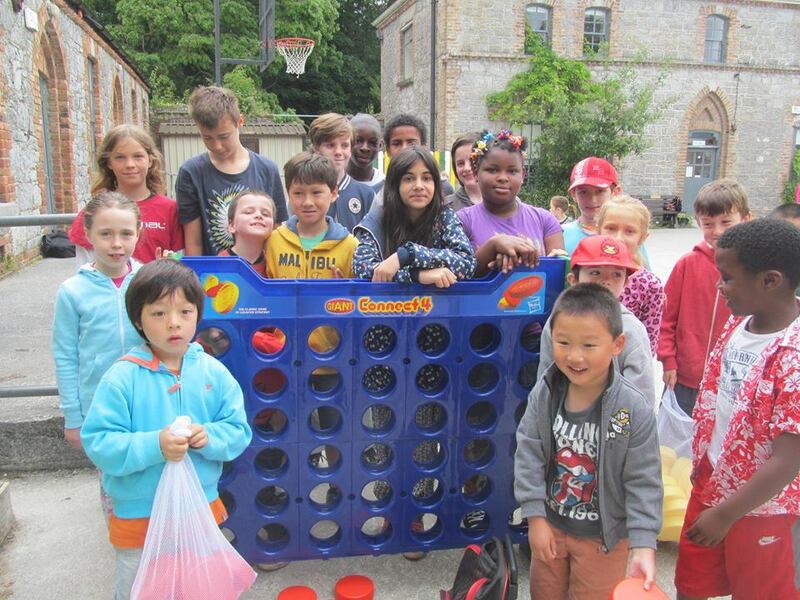 We continued working on the Garden Project, we finally had good weather and enjoyed Sports Day, had our School Tours, participated in different activities in our community, had a school clean-up, played basketball every week and finished Spanish lessons in May. We held three Public Talks and enjoyed the company of new families at Open Day. And so many other significant moments that we experienced every day at school. Next September we will be celebrating our 10th Anniversary. A big time for us, so let’s start recharging our energy levels this summer and get ready for a big number 10 celebration. First of all, we would like to give a BIG THANK YOU to all the children, parents, teachers and friends that participated in the St, Patrick’s Day Parade 2012 and made a wonderful display and promotion of our school in Tralee. We have been busy this term, with many after school activities, all of them right after the end of the school day, on the school grounds or classrooms. The FAI Soccer Training were back at school coaching football soccer skills to kids from 4th to 6th class during February and March. Thank you very much FAI for coming back, we will be looking forward to see you again next year. Also in the sports area, James O’Connell (SNA) started a great basketball training club, from 1st to 6th class divided in two afternoon sessions and it will continue until the end of the school year. Learning Spanish is a new adventure for 5th and 6th class. Some of the pupils are attending Spanish lessons with Barbara Damm (parent) at school, and will continue for another 4 weeks after mid term break. The Garden Project, coordinated by Gail Groves (Learning Support teacher), has also been very busy, with organised working sessions involving children and parents. We also enjoyed a lovely family Sunday walk in Ballyseedy Wood, organised by the Parents Association. Finally, just before the well deserved holidays, the Student Council got everybody buying tickets for the BIG Easter Egg Raffle. The money collected will go to the fund for buying patio benches for the school. This has been a busy time at school, with many important events. We started September with our Healthy Eating Week and Party, which was a great success. In October parents had an opportunity to learn more about Dyslexia and Dyspraxia by attending an information evening organised by Tralee Rotary Club. On the same month we had our Ethos Week at school, where staff and parents looked at our Code of Behaviour and children held Student Council Elections. The election process was a wonderful experience for our children, who campaigned very hard for getting a place in the new Student Council and had very serious discussions around democracy and voting. Election Day was on Thursday 27th of October, followed by the count of votes the next day. The Mayor of Tralee, Grace O’Donnell presided over the count. We finished October with a cake sale and a board game playing as part of the Educate Together National Fundraising Day. In November we celebrated Friendship and Maths Week, we had the Scholastic Book Fair for several days with us and students from 3rd to 6th class attended a Kerry Film Festival Workshop in the school. Parents also had a workshop, not exactly in films, but in Maths, learning about the new subtraction-regrouping method. And finally December, just before the deadline for this edition, our parents and staff had an opportunity to meet and share a nice time in the Christmas Social organised by our Parents Association. We can only thank to everybody in our school community for making this first term a great success. Thanks to everyone who turned out for the table quiz organised by the Parents Association, Well done to the Byrne, O Brien and Walker Families who won 1st , 2nd and 3rd prizes on the day. Student Council visit to the Town Council ChambersA great day was had by all, a big thank you to the Mayor Gillian Wharton-Slattery, Cllr. Fernane and Council Staff for their time. We would like to welcome Michael Ahern as our newest member of staff. Michael joins us to take up the part time resource post. Please remember to return your ethos evaluation surveys if you have not already done so. We appreciate your help with this project. Well done to all the girls who participated in the blitz in Presentation Convent on Sunday. Please be aware that school begins at 08:45. Children should arrive at school just before this. The school will accept children at 08:30. Children should not arrive at school before this time. We appreciate your cooperation in this matter. Parking just outside the school is for staff and school buses only. Parents/guardians dropping children to school should use the main car park and walk up to the school. Please respect this request in the interest of the safety of all children. This year we are collecting Tesco Tokens for garden tools. Please collect tokens when doing your shopping in Tesco and give them to your child to bring in to school. Please find a copy of the yard rules for children in the schoolbags. Please discuss these rules with your child. The school office will be closed all day on Friday 8th April and from 10.45am-1.25pm on Thursday 14th April. Credit Union Ellie the Elephant saving stamps will be available in the school every Thursday for children from 1st – 6th Class starting on the 24th March. The children will receive a stamp savings card and can purchase stamps every Thursday at €1 per stamp. It is a good way to encourage children to save and we have had this scheme in the school in previous years. It is optional. We would like to thank the parents etc. who helped raise funds for the Parents Association last Friday by bag packing in Dunnes Stores. €600 was raised, well done to all! Congratulations to the following children who were confirmed in St. Brendan’s Church last Friday 11th March. As you can see the school has new stationery. Our thanks to Jackie and Chris Reina for their input with the design. A REMINDER that the school is closed all of next week 21st-25th February for the mid-term break. School re-opens on Monday 28th February. Well Done to the students who represented the school at the Credit Union quiz recently. Educate Together's National Forum is on 05th March 2011 from 10am to 1pm. 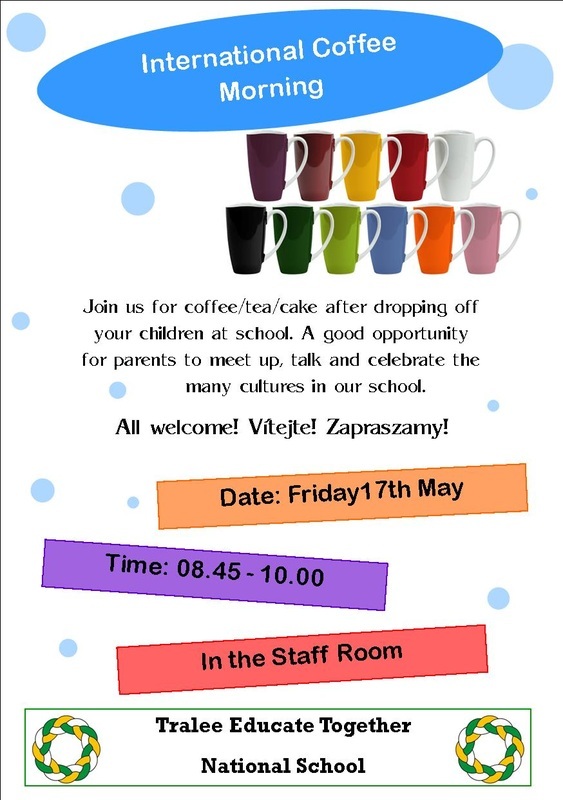 We would like to encourage the school community (Parents, Teachers) to attend. committed to participatory democracy, we really want to hear your views and make sure that these chart our path forward.